Tiger & Woods is a dj/producer duo from Italy, formed by Marco Passarani and Valerio Delphi (two italian well known dj in the house / techno music field, since early 90s). 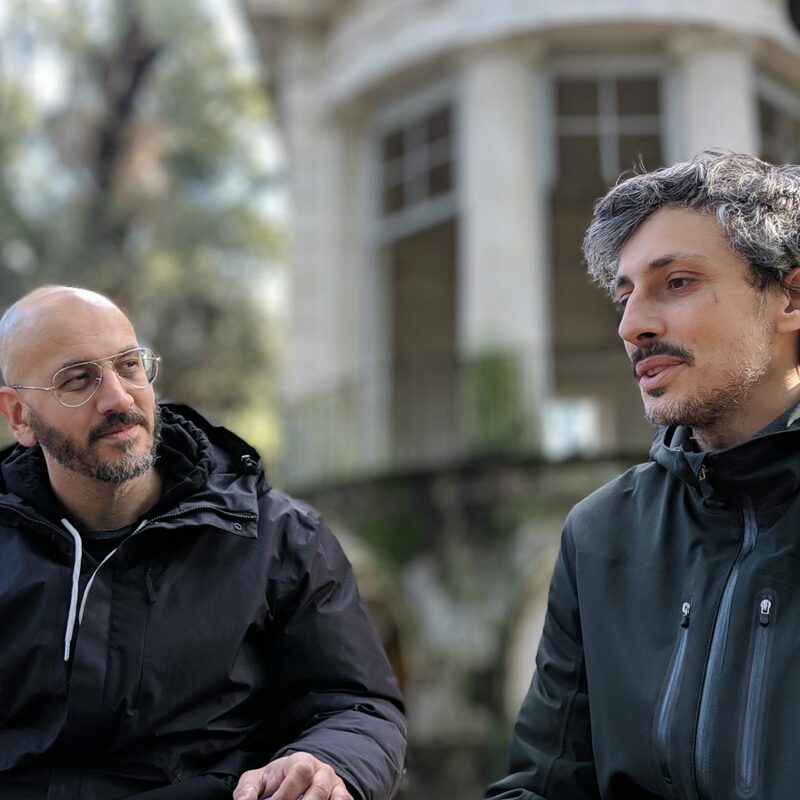 The two producers have been in a central position in the italian dance scene due to their activities as djs, musicians, arrangers and executive producers. The duo met in 2006, when Marco produced Valerio’s record on one of his labels from the pool called Finalfrontier. They also met lately in the RedbullMusicAcademy in Barcelona (Marco is a resident technical tutor of the academy and Valerio was the italian partecipant in that edition). Working together in the studio has been so positive that they decided to start a project together called Tiger & Woods. Initially it has been mainly a live performance kind of thing: the guys were djing and live editing all the tracks they were playing, creating a unique new sound that quickly made them popular around the globe in the underground dance scene. Following that, they realized a series of remixes for a lot of contemporary artists and a new arrangement of the song “Music & Lights” from Imagination, which was their consecration. This version has been considered one of the best “new take” on an old song in the dance scene from the likes of Pitchfork, Resident Advisor, Vice magazine etc etc. Right now they’re busy putting together the new live show and working on multiple solo projects for labels such as Offen Music, Numbers and DABJ. Amongst the many clubs and festivals they played around the globe, we should mention Coachella Festival (USA), Sonar (ESP), Primavera Sound (ESP), FYF Festival (USA), Montreux Jazz Festival (CH), MoMa PS1 (USA), Transmusicales (FRA), Panoramabar (GER), Fabric (UK), Razzmatazz (ESP), Nitsa (ESP), Good Room (USA), Rex (FRA), Womb (JAP), DC10 Ibiza (ESP), Space Ibiza (ESP), Printworks (UK) and many others. The new album “A.O.D” is due out the 12th of April. Working together in the studio has been so positive that they decided to start a project together called Tiger & Woods. Initially it has been mainly a live performance kind of thing: the guys were djing and live editing all the tracks they were playing, creating a unique new sound that quickly made them popular around the globe in the underground dance scene. Following that, they realized a series of remixes for a lot of contemporary artists and a new arrangement of the song “Music & Lights” from Imagination, and this was their final consecration. This version has been considered the best “new take” on an old song in the dance scene from the likes of Pitchfork, Resident Advisor, Vice magazine etc etc. Right now they’re still busy travelling the five continents to perform their mixes of new and old sounds in their unique way, tiger style. Amongst the many clubs and festivals they played around the globe, we should mention Coachella Festival (USA), Sonar (ESP), Primavera Sound (ESP), FYF Festival (USA), Montreux Jazz Festival (CH), MoMa PS1 (USA), Transmusicales (FRA), Panoramabar (GER), Fabric (UK), Razzmatazz (ESP), Nitsa (ESP), Good Room (USA), Rex (FRA), Womb (JAP), DC10 Ibiza (ESP), Space Ibiza (ESP), Printworks (UK) and many others. The latest single came out end of February 2018 and it’s called “Unleashed Tapes vol.2”, and recently they remixed the legendary “At Night” by Shakedown on Defected.